Castle Pines is a luxuriously planned gated golf community nestled in the rolling hills, north of historic Castle Rock, in Douglas County, Colorado. This upscale suburb offers majestic views, and a feel for elegance reserved for a discerning few. Castle Pines Colorado presents custom homes on spacious sites surrounded by spectacular Ponderosa Pines set in a pallet of natural wildflowers. Castle Pines is a newer community in Colorado, and few homes are older than 6 or so years.Renters make up 1.49% of the Castle Pines, CO, population. The vacancy rate for homes and apartments usually hovers right at 6.24 %. This a beautiful area surrounded by rocky buttes and stunning views of the Rocky Mountains, and Pikes Peak. The town of Castle Rock has retained its friendly small town charm with specialty boutiques, coffee shops, day spas and numerous restaurants. This is truly Colorado. Championship golf, fine dining, and exclusive shopping at Park Meadows Mall, all help insure that amenities are in no short supply. 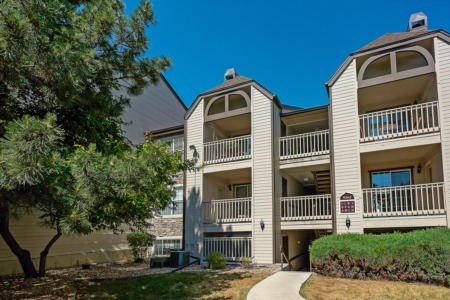 Convenient access to I-25 makes for a convenient drive to downtown Denver, or a 2-hour drive to most major ski areas.